Saw this on the news the other day! The snowmen are built for a non-profit called SnowmenForAfrica.org. 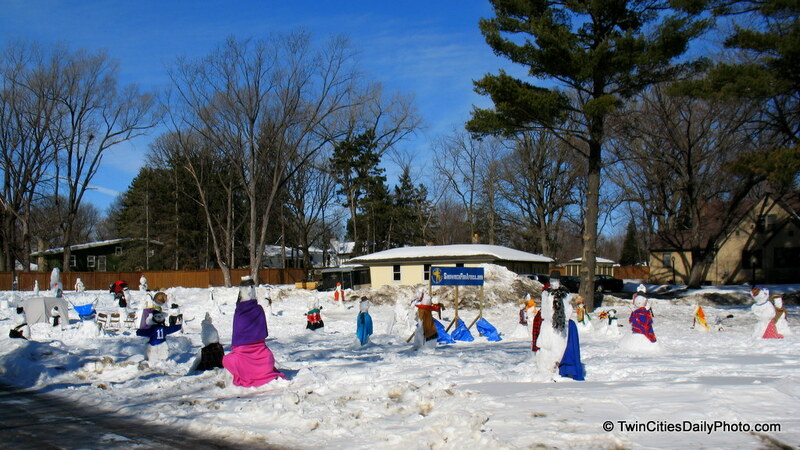 The guy slept in a tent amongst the snowmen in an attempt to raise $50,000 for refugee camps! Great pic!